Our Personalised Mr And Mrs Wedding Coasters are perfect for newly weds as a wedding gift or for an anniversary gift. The coasters can be personalised with your choice of names for the newly weds or married couple. You can choose from a range of lettering colours to suit any colour scheme. The married couple will love having matching coasters with their new married name on. 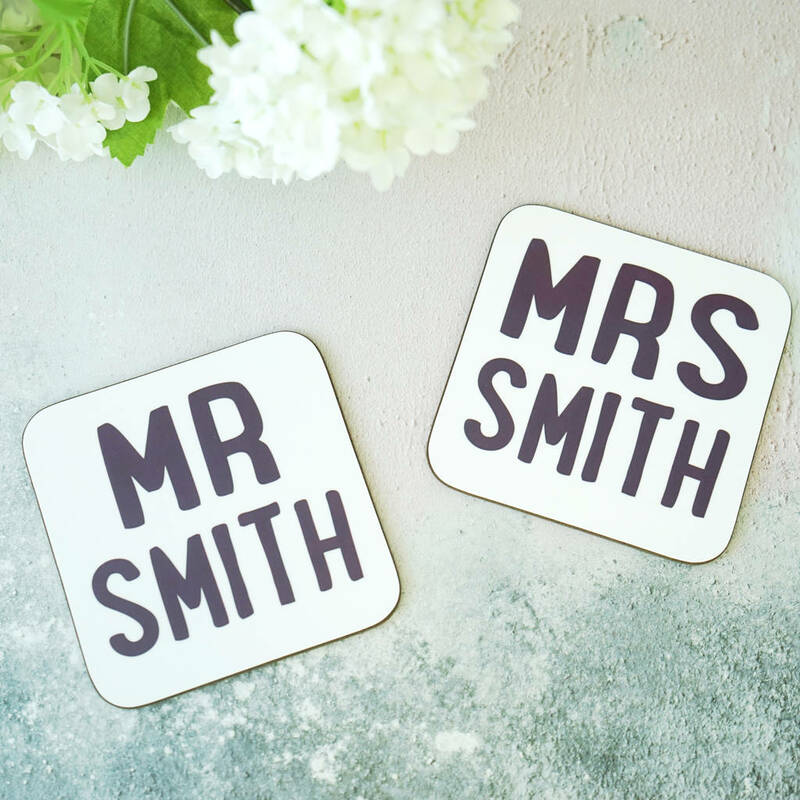 You can also choose the title so you can select for example Mr & Mrs, Mr & Mr or Mrs & Mrs.
Our Mr & Mrs coasters make a lovely thoughtful wedding gift, anniversary gift or engagement gift. The price is for two coasters. 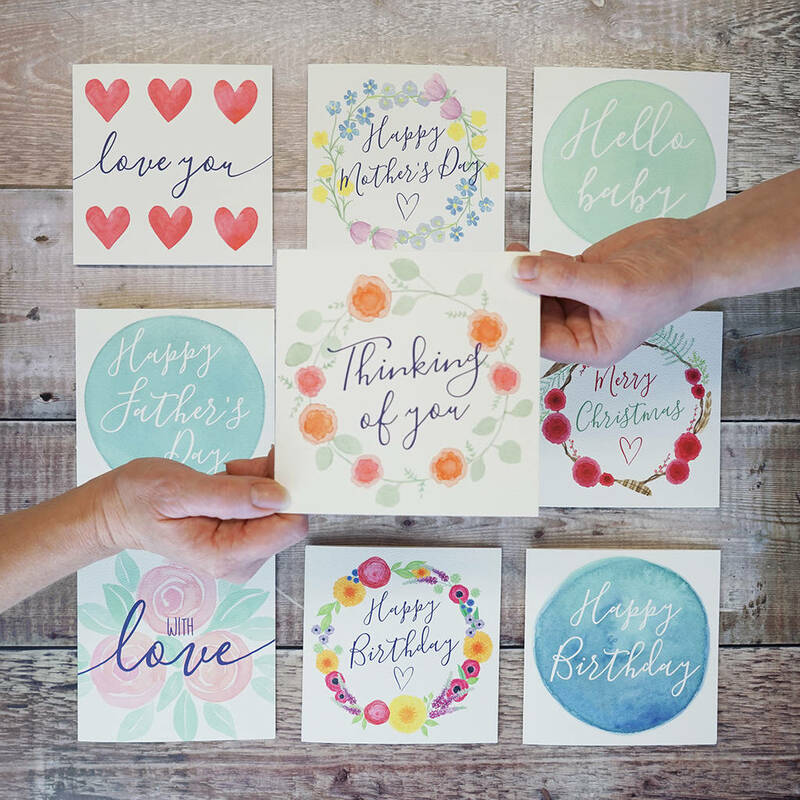 A lovely gift for an Anniversary, an engagement gift or Wedding.